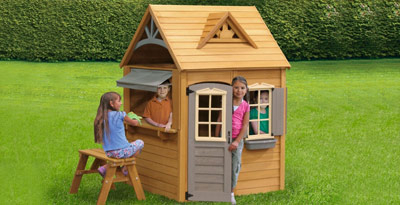 The Catalina Playhouse provides kids with a space to create their own little world, summer cottage or lemonade stand it's as versatile as a child's imagination. Cedar wood construction with a solid shiplap roof that lets some light in through the roof window. 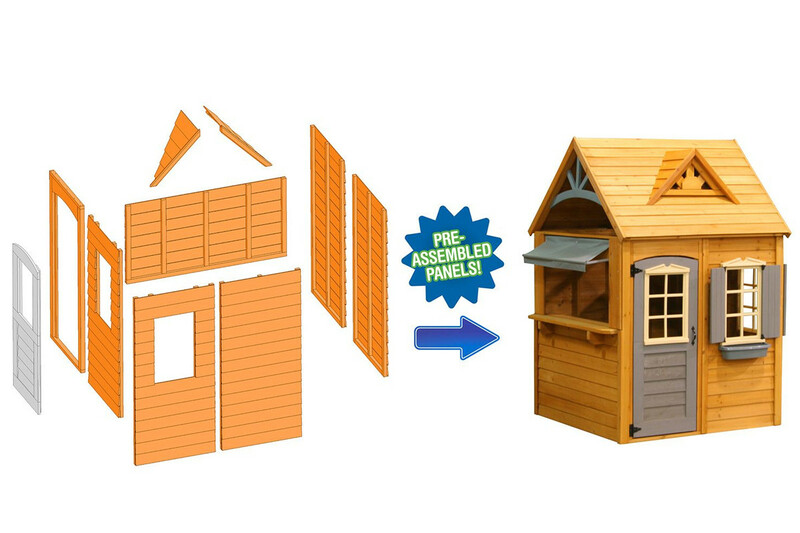 This playhouse also has pre-assembled panels decreasing total assembly time. The Catalina's door is fully functional doors and windows with a cream frames (no glass) a serving area to is covered by a small tarp and has a wooden seat with the playhouse. The flower box under the front window will keep any green fingered kids occupied. The Catalina gives space to serve the from the counter and lookout from the windows. Its space is could fit a little person kitchen table and chairs. The Catalina Playhouse comes with all required fixings, pre drilled wood and a fully illustrated instruction manual. 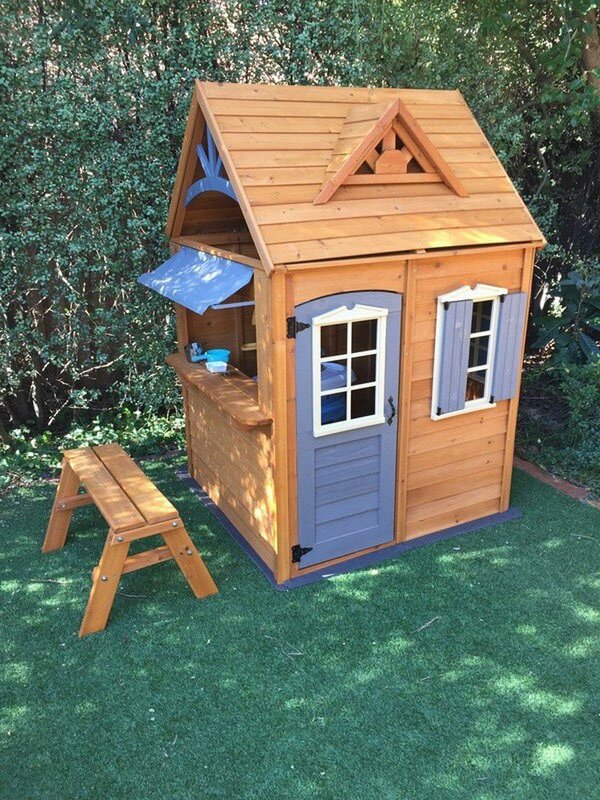 This playhouse is designed for children aged between 3 and 10 years of age and is tested (EN-71 & ASTM) to meet requirements for private residential use – this playhouse is not suitable for commercial use. very nice product. kids love it. 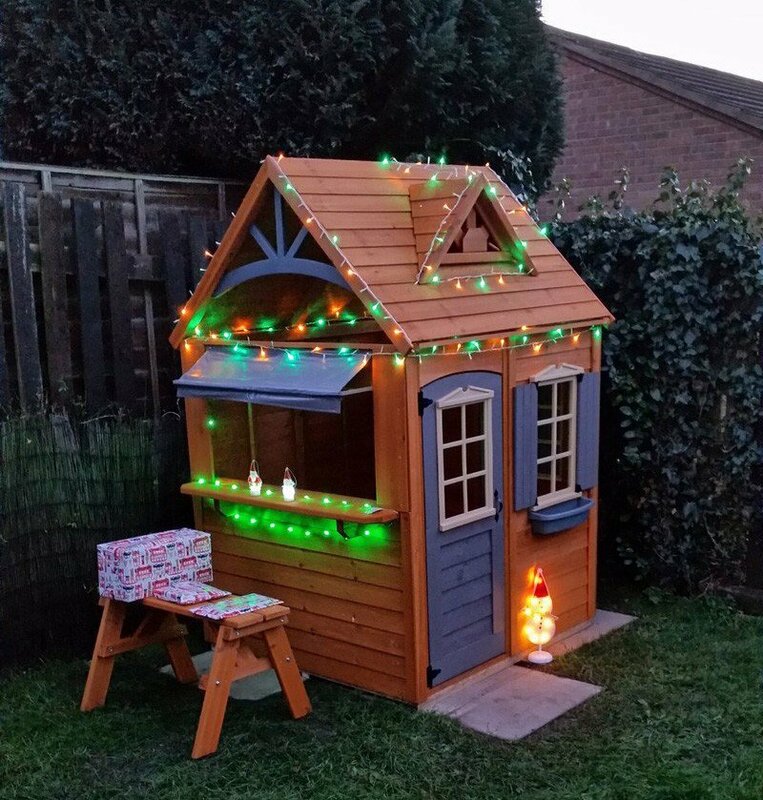 We ordered a playhouse and sandpit for our grandson which was delivered very fast with friendly service. 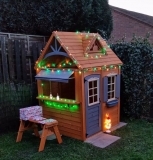 We were extremely pleased with it and our grandson was over the moon less him, we now spend many hours playing with him while he serves us with play burgers and hotdogs ect ??. When we are not there he loves playing in his sand pit for hours making lots of shapes and having just as much fun smashing them apart ??. We highly recommend these products to anyone with children from toddler age right up to the age of 10, the best part is you can have just as much fun playing games with them. The next thing we are ordering is a slide frame for him just waiting to move first. We bought this house for our 3year olds birthday. 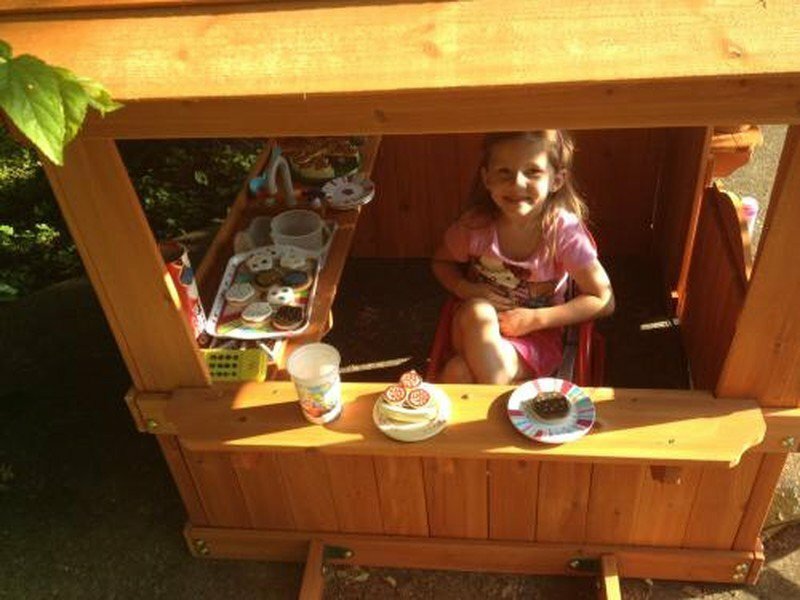 She and her younger brother love its ease of access and the privacy it gives them from the rest of the garden..It feeds their imagination, from Playhouse to restaurant to somewhere to keep our buckets and spades. We love that this house will grow with them and is not a lump of plastic they will outgrow in a year or two. 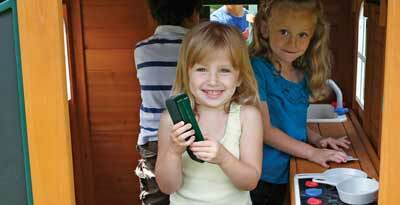 It's better for the environment and we're happy with that.All in all a great product that our children love. Une cabane qui fait des envieux auprès des voisins et amis. Un look original. 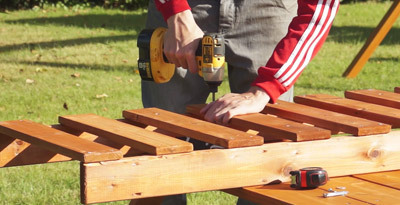 Très bonne qualité de bois. Belles finitions. Livraison rapide dans un colis bien emballé. Et le tout à prix raisonnable ! This cubby house was delivered very quickly. The instructions for assembly were easy to follow but took me and my dad the best part of a full day to put together. The kids love it though and it's great watching them play in it pretending to be cafe owners. I got this for my daughter for her 5th birthday and she loves it and was so excited. She plays in there for hours. It is really cute and has lots of great details -- and made very well. Probably should have given it to her a year earlier because I think she might physically grow out of it by 6 or 7 at latest. I think its perfect for a 3 - 5 year old. It wasn't quick to put together however... easy, yes. Quick... no. Tons of pieces and parts (but well worth it). I didnt put the plastic windows on because i thought it looks better with just the wood. It looks nice in my backyard, not junky or tacky. We are quite happy all around. 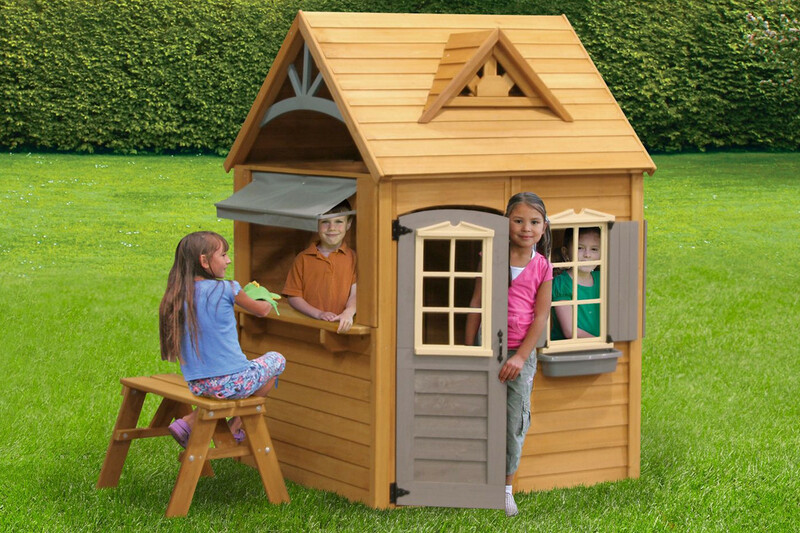 This is a cute playhouse. It is open so you can always see the kids. The pass through window with the outside bench seat is fun. 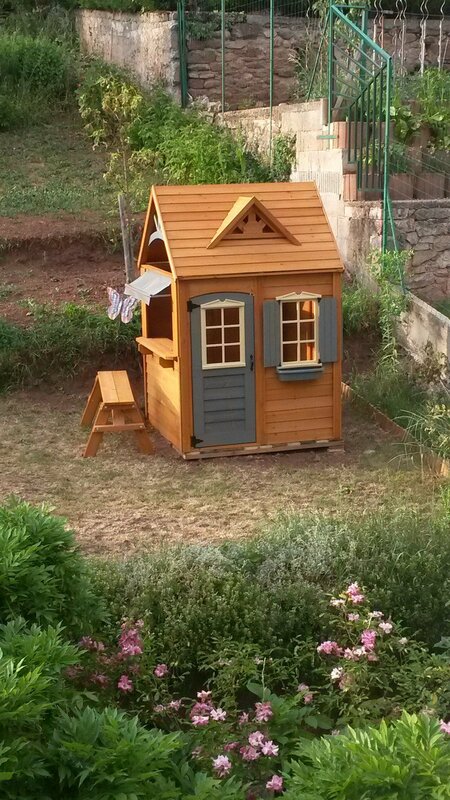 The playhouse looks great in the yard. Make sure you have a couple friends help you put it together. It took 3 adults 4 hours to put this together. And follow the directions about keeping it flat and immobile or you will run into problems. Overall, a great item.